Need Family Accommodations? Good Central Location? Close to the Beach? Borgata Lodge at Quail Ridge Resort is only 7 minutes from the Fun Center of Kelowna, lots of things to do. Click on the links to find the fun ! Beasley Park & Beach at Wood Lake – Free – 12 min drive from the Borgata Lodge, nice place to take family in summer, lots of options. Beach volleyball, picnic tables, swings, kids climbing zone, clean washrooms. Huge open areas, lots of shade under majestic wheeping willows. Baseball park and soccer field adjacent. Room to toss a frisbee, lots of parking. 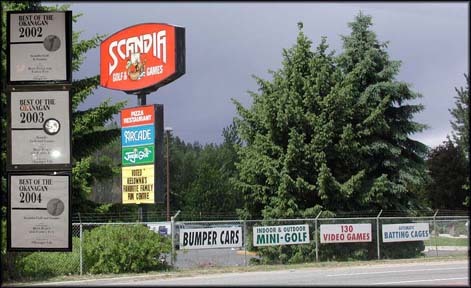 Scandia Family Entertainment Games & Mini Golf 6 minutes drive, Free Entry Modest Fees for activities. Stage shows, bumper cars, batting cages, mini golf. Kelowna Energyplex Kelowna’s #1 Indoor FAMILY FUN PLACE!! With it’s Cube, Trampoline Gym, Rock Climbing, Ballistix, Laser Tag, Craft & Movie Corner, Full Service Café and more! Where kids, teens, families and groups can endlessly play, climb and energize. Kelowna Kangaroo Farm Great for all ages, conveniently located just 12 minutes north in Lake Country / Winefield, best to go early, minimum donation $5. Closes at 2pm, then open in the early evening, check with them to be sure on viewing times. Kids will love it. McCurdy Bowling Complex 7 minutes away, Very reasonable, nice effects, great sound, Restaurant & Theatre next door – Brew Pub Taste award winning Beer. 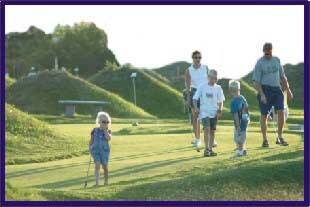 Kelowna Springs Mini Golf Course – All Grass 5 minutes – Very Reasonable & super fun for all ages, all grass course with lots of places to sit and relax. 7 Zipline rides, one after the other, no hiking needed. Up to 85 km/hr speeds, enjoy the free-fall sensation. Longest ride is 1514 ft (457 m) Majestic 180º valley & Lakeviews. Grand take-off towers. The drive to Oyama Zipline is a pleasant scenic drive passing farms, patio bars, markets, art galleries & shopping. 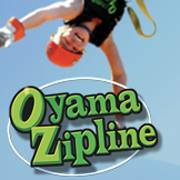 Oyama zipline is a half day activity for all ages, enjoy ! Father Pandosy Mission – 12 minutes. Free or By Donation, amazing educational history of the Okanagan Valley, lakes, orchards, farming and our pioneers. Very cool !! Fun for all ages and nice sand. Just 12-15 minutes drive from the Borgata Lodge. This beach is a jewel of a place for families to enjoy a day at the beach on the lake. Kids play area with games, swings, baseball diamonds, volley ball courts. Covered Area with several picnic tables and BBQ’s. Clean washrooms, huge grassy areas, large trees for shade, ample picnic tables, nice sandy beach. Boat and ski doo rentals 5 minutes drive to the Turtle Bay Marina nearby. Lake is stocked with trout for fishing. If your boating you can access Lake Kalamalka via a channel that connects the 2 lakes together, at that location there is also a very wide beach that is often quiet & easy to just beach your boat and hang out, this area is also accessible by car. 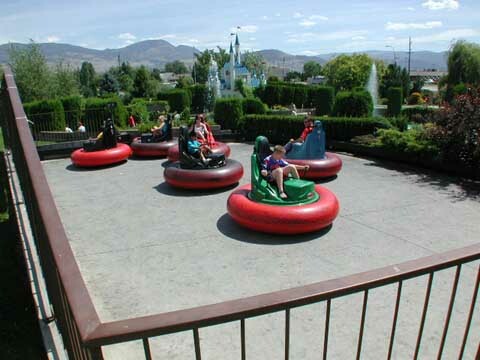 Award winning for many years is Family Fun Center, close to Kelowna’s center for business and entertainment. Featuring both outdoor and indoor Mini Golf, Bumper Cars, Batting Cages, Stage Show, 130 Video Games & Pool Tables. Prizes awarded for winning or achieving levels of performance on the games or golf. The fun park offers fantastic value for the amount of things you can have fun doing and of course the PRICE. This is the place for all ages in Kelowna for family fun & to have a blast, cut loose without spending excessive amounts ! Often families can spend half a day or a full evening for less than $20 per person. Win prizes for playing the arcade or make your final putt on the last hole of the mini golf course and win a free game. Enjoy pizza or other foods from the walk up bar. Reasonable prices again. Hot days of summer can be eased with an afternoon at the Arcade, the AC works great ! 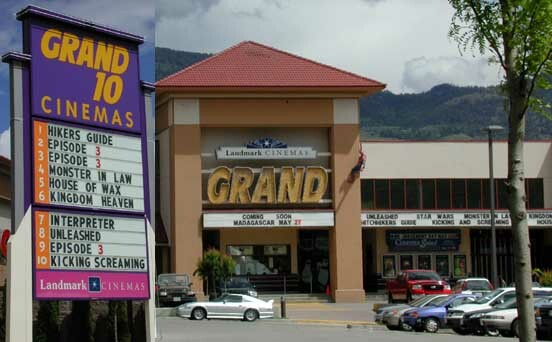 Kelowna’s Family Entertainment area is on Highway 97, across thes street is a 10 Cinema movie theatre complex including McCurdy Bowling Center set up with fancy lights for fun bowling. 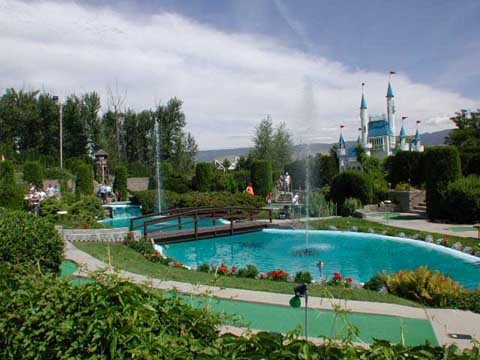 3 Minutes drive is Kelowna Springs all grass Mini Golf. Bumper Cars for all ages! 6 minutes to Borgata Lodge at the Quail Ridge Golf Resort. Borgata Lodge is a great central location to Family Entertainment, lakes, beaches and shopping. 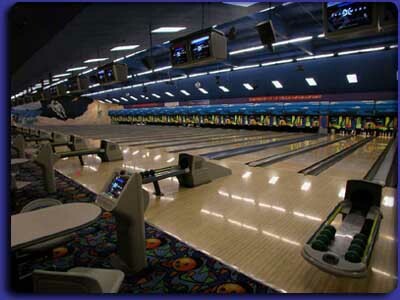 Kelowna bowling and fun for all ages, fancy lights and disco music for kids & its not expensive, check it out ! Family Restaurant and Brew Pub for the parents. Stop by and enjoy some of Kelowna’s finest local brews made right onsite at McCurdy Bowling Center. 6 minutes drive from the Borgata Lodge ! Take a drive and enjoy some of Kelowna’s history, head out on Benvoulin and check out Father Pandosy Mission, learn the age old history of Kelowna, the pioneers, a great place to take the family for a few hours, Log Construction buildings that have been moved to one central place so you can see the history and quality of work done generations before us. Antique farm equipment on display as well as many historical items in the buildings. Simply put this is a must see if you have not been to it. Donations accepted to maintain the site.